All learning at MacKillop Catholic College is underpinned by a set of principles designed to reflect the Mission Statement of the College. a passion for life-long learning. Our Learning Principles are evident in all teaching and learning opportunities whether these are in the classroom, outdoors or off campus. They embody the charism of St Mary of the Cross MacKillop and Blessed Edmund Ignatius Rice. We want our students to experience physical, emotional, intellectual and spiritual growth so the opportunities we provide encourage us to move away from the status quo towards excellence. Students see learning as an agent of positive change in their lives. Real growth occurs when a learner is out of their ‘comfort zone’. Although there may be a degree of psychological stress, this can be alleviated by either taking on the learning or rejecting the learning. By taking on the learning, students see learning as a way to extend themselves. We want our students to be able to achieve. At the College, we want students to feel supported and guided in their learning. To ensure learning is achievable, we build on students’ existing physical, emotional, intellectual and spiritual development. We help students to access learning, we ensure contexts are familiar or, if the learning is unfamiliar, by providing an environment so that links can be easily derived. Students connect their experiences to new learning. Learning at the College aims to build on and refine students’ personal contexts and enrich their learning capacity by making new connections. Students build new contexts through their learning. We know that learning is best achieved in a social scenario where synergy between learners enhances the learning process. Students are aware of the roles and responsibilities of collaborative learning and learn together. Students are accountable to themselves for their learning. 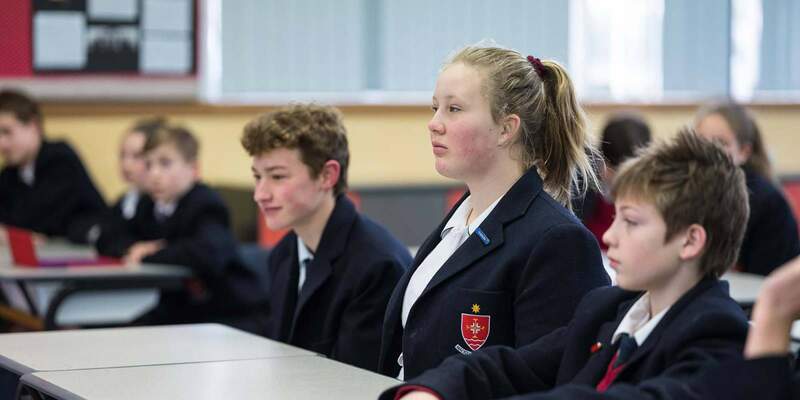 We want our students to ignite the 'passion for life-long learning’ so our learning opportunities enable students to broaden their experiences through learning. The hallmark of Catholic education is a holistic education. We want students to experience growth in these four dimensions.